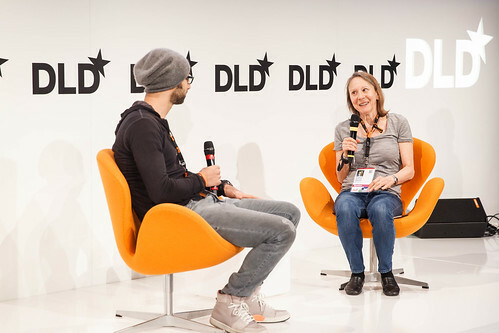 Chairman and founder of HICCup (Health Initiative Coordinating Council) and chairman of EDventure Holdings, Esther Dyson, sits down with Ijad Madisch to speak about his European success story, ResearchGate. Madisch is s physician turned startup founder. After training to be a medical doctors, six years ago he co-founded ResearchGate, a professional network for scientists designed to encourage collaboration across disciplines and borders. Today, this Berlin-based startup connects more than three million scientists from 193 countries. That is approximately 60 percent of scientists worldwide. The goal of ResearchGate, Madisch says after noting his own aim to win the Nobel Prize, is to disrupt the publishing world. "In science, you always focus on positive results", Madisch explains at Dyson’s request. This means that traditionally only the experiments that end as expected are published and discussed. The many experiments that came beforehand with negative results are discarded. Enter ResearchGate and now all of those results are also accessible, giving scientists the opportunity to learn from others’ mistakes and processes. Renowned investors, including Bill Gates, Benchmark and Founders Fund, support the network for scientists. “So there’s its market credibility”, Dyson observes. But although ResearchGate is a European success story, Madisch had to leave Germany to bring his plan to life. Now 70 percent of staff are non-German and the biggest segment of users – 20 percent – are from the US. ResearchGate also tries to connect scientists to people whom they don’t know yet. As an example, Madisch tells the story of a Nigerian doctor. After a baby died in his hospital is Nigeria from unidentified causes, that doctor sent blood samples to a professor in Italy. That professor was able to find out that a form of mutated yeast had killed the baby. Further analysis is currently ongoing. “Our next step is is mashing up the millions of datasets we have and categorizing them,” Madisch concludes before Dyson opens up the session for questions from the floor. One audience member asks about ResearchGate business models. “Making money is the easier part. Changing mindset of scientists is the harder part,” Madisch says, giving monetizing conferences as a for instance.